Is it snowing in Les Contamines ?Merci! In the heart of Mont-Blanc area, discover Les Contamines; an authentic village resort of Haute-Savoie. Nestled in a majestic setting, this charming village has become an active tourist attraction through the establishment of a vast and diverse area that offers skiing activities, while conserving its welcoming architecture. 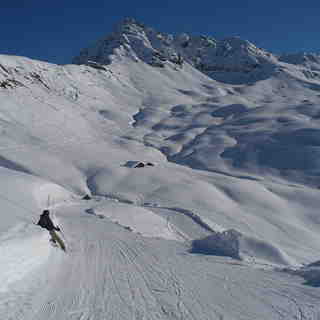 Les Contamines is immensely joyful for mountain lovers and board-sport addicts, who are finally united. 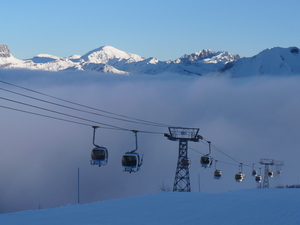 There are 120 kms of piste at Les Contamines with 24 lifts to service 46 groomed trails. 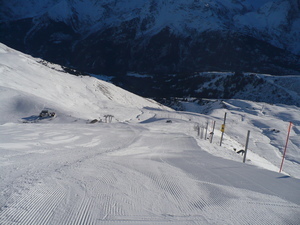 Les Contamines has a snow record on a par with conditions in the higher altitude resorts due to a favourable weather corridor. 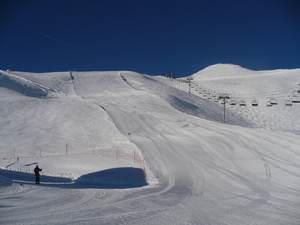 There are also 2 terrain parks (halfpipe, boardercross, bigairs, rails, tables...) and good slopeside facilities. 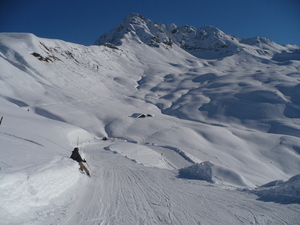 The Nordic ski area in Les Contamines covers 23.5 kilometres of marked and groomed trails, situated in beautiful alpine surroundings. The area opens at the first sign of snow. An initiation area is reserved for beginners. For those looking to improve their skills and have some fun, head to the Nordic Cross Zone or the Biathlon Zone. 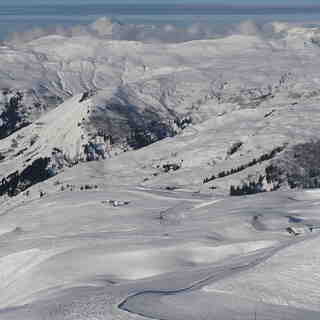 The nearest airport to Les Contamines is Geneva. I've been coming here for years and years (the last 5 years for Christmas week with my wife and 3 teenage kids). We all love it. It's been said on most of the other reviews but I'll say it again; it's in a beautiful setting, the locals are friendly, the shops and bars are great, the skiing is absolutely fine if you're anything but an expert skier looking for hard blacks. The resort is pretty snow-sure, but Christmas week we were very unlucky last year and hardly had anything (although it dumped big time on the day we checked out!). This year isn't looking too good at the moment either, but that's the same everywhere across the Alps at the moment. But even if the snow is no good, Les C is close enough to be able to visit Chamonix easily and other slightly higher resort if necessary. Les Contamines also now has a new swimming pool which is very pleasant. As a family ski hol, you can't really go too wrong.